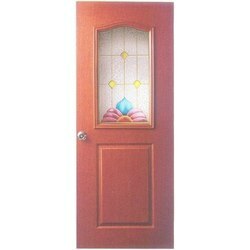 Offering you a complete choice of products which include fiberglass doors. Fiberglass composite doors are quite durable and virtually maintenance-free. When exposed to harsh weather conditions, a fiberglass door is a smart choice. These doors imitate the look of wood and can be stained to match most popular wood options.Specially engineered fiberglass door facings provide maximum protection and durability. Fiberglass doors will not dent and resist splitting, cracking and warping. Looking for Fiberglass Doors ?